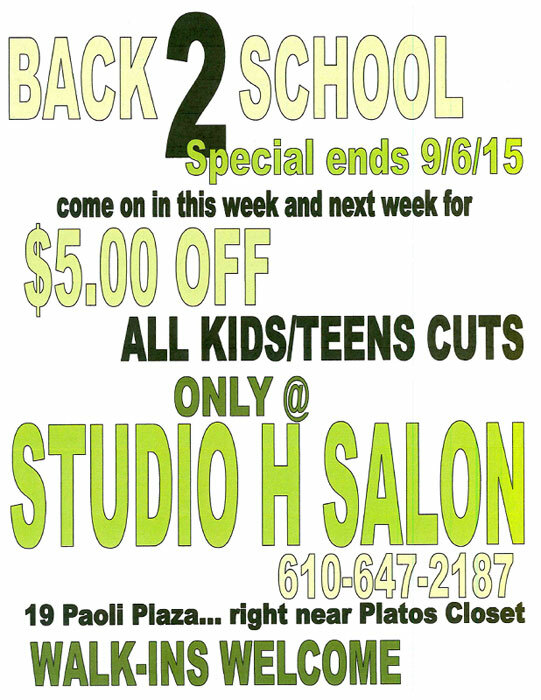 Studio H Color & Design Group is having a back to school special until 9/6/15. All kids & teens cuts are $5 off! Call 610.647.2187 to schedule an appointment or just walk on into the salon!